Jet-Sing Lee is a Materials Chemistry PhD student from the Professor Andrew I. Cooper Group at the Department of Chemistry, University of Liverpool. 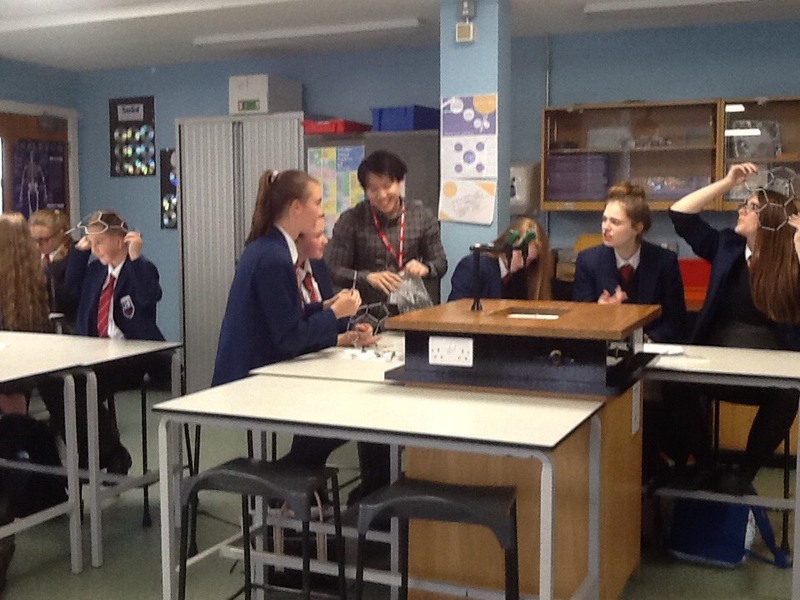 He recently visited Maghull High School STEM Club to talk about Nanotechnology. We spoke to him about his session, his students & this Nobel prize winning subject. 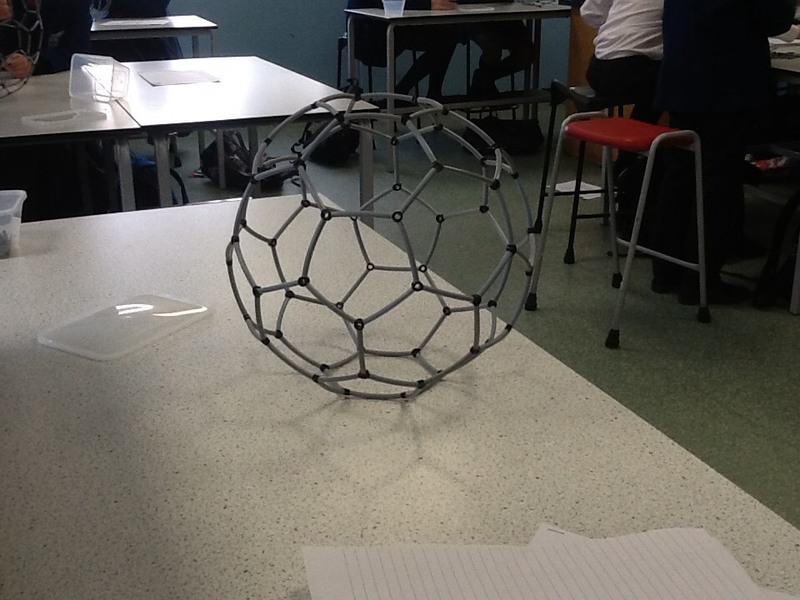 “On Thursday 20th October 2016, I visited Maghull High School to present to the STEM Club of around 25 students aged between 11-14, about Nanotechnology, its importance, and then build buckyballs together in the end whilst studying their properties. 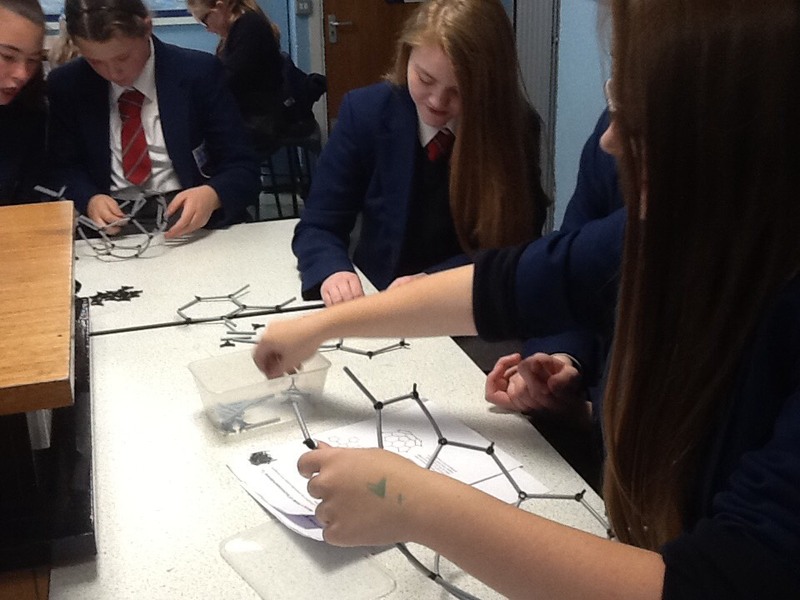 Nanotechnology is the study of matter on a very small scale, measured in nanometers (nm) or billionths of a meter. To put this into prospective, a human is around 2 x 109 nm tall, a red blood cell 6 x 103 nm wide, and the width of DNA 2 nm. 10 hydrogen atoms (which is the smallest atom in existence) lined up is 1 nm long. In fact, nanotechnology is very exciting and current as the recent Nobel prize in chemistry announced this month was given to scientists for designing nanotechnology that is capable of movement. These molecules which are 1000 times smaller than a human hair can be designed to have multiple ranges of movement, including propelling itself forward as a ‘nanocar’. Nanotechnology is around us in nature, such as the nanoscaled surface of lotus leaves which repell water and gives them a self-cleaning mechanism, and they can be manmade, such as its use in sun screens, antimicrobial wound dressing, and in anti-odour clothing. A nanosized form of carbon different to diamond and graphite, which is spherical and contains 60 carbons is known as a Buckminsterfullerine. This was named after an American architect which designed a structure that the molecule is similar to and it won the 1996 Nobel prize in chemistry. The structure looks like a molecular football, containing pentagons and hexagons, the press picked up on this and called them ‘buckyballs’. 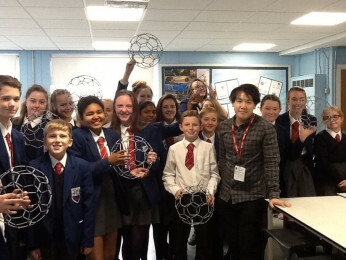 The size difference between a football to a buckyball is 10-8 which is the same as the difference between the size of the world compared with a football. This is the scale we are talking about. We think the photos say it all, happy and engaged STEM clubbers! An amazing activity Jet! You can request a STEM Ambassador to visit your school, click the green button here. Love STEM & work in the field?